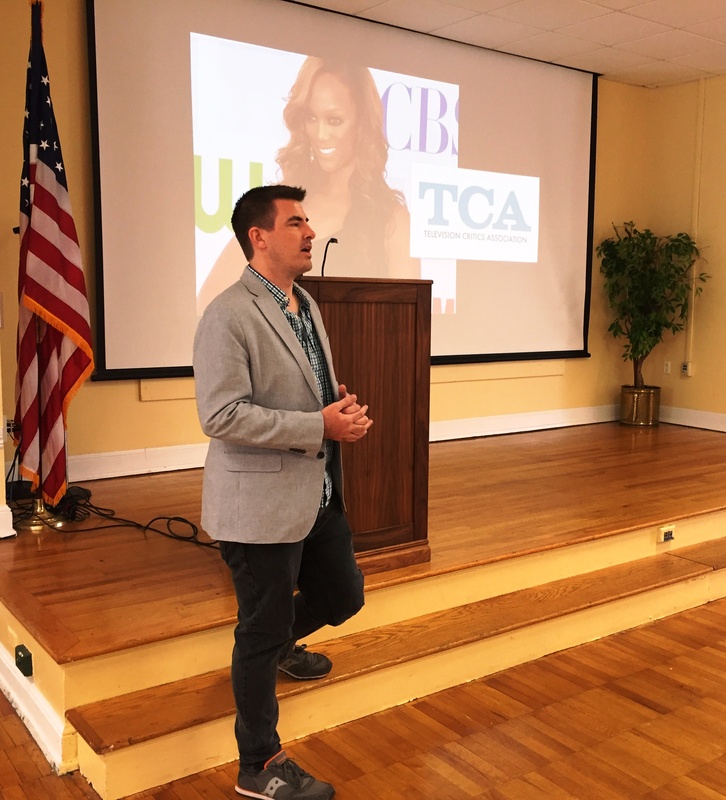 DELAND, Fla., May 20, 2016 – On May 19, the Volusia/Flagler Chapter of the Florida Public Relations Association hosted a special speaking engagement at Stetson University featuring reality TV expert Andy Dehnart. As a writer whose reporting and criticism on reality television has been published and recognized nationally, Dehnart shared an insider’s view of the reality TV world, along with the public relations opportunities and challenges he’s faced in his 16 years of analyzing the business. During his presentation, Dehnart shared a personal story about interviewing American model and television personality Tyra Banks, and the public relations professional who made the interview difficult to carry out. The Florida Public Relations Association (FPRA) is dedicated to developing public relations practitioners who utilize ethical practices to enhance the public relations profession. The Volusia/Flagler Chapter of FPRA includes nearly 60 professionals and students and the organizations they represent. To join, visit the state FPRA website, http://www.fpra.org.